Happy first days of Spring. It's been "officially" spring for about a week or so, but someone forgot to tell Mother Nature. It's still COLD! But, the days are getting longer, the sun is shining more, and the earth and trees are waking up and that makes me ridiculously happy. 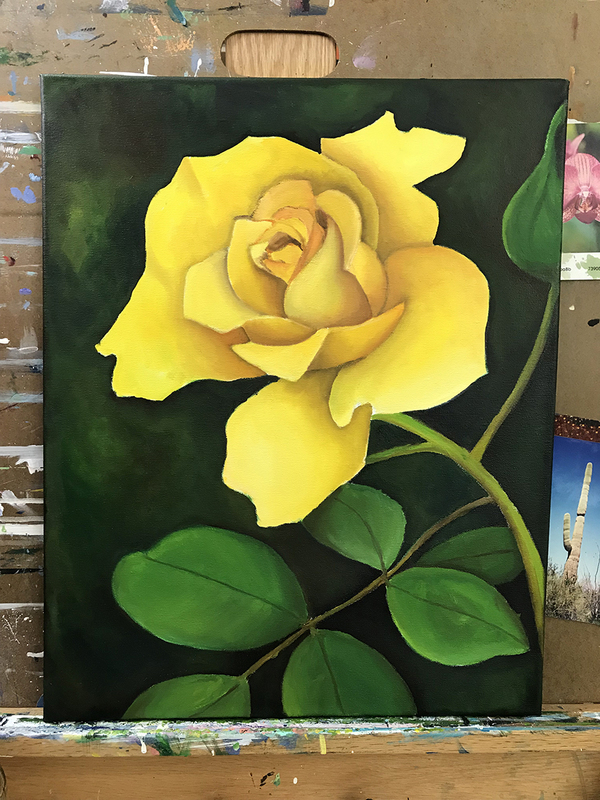 I've been working on a large 18"x24" painting to give to my mom for Mother's Day. Shhhhh!!!!! Don't tell her, she doesn't know this is for her yet! 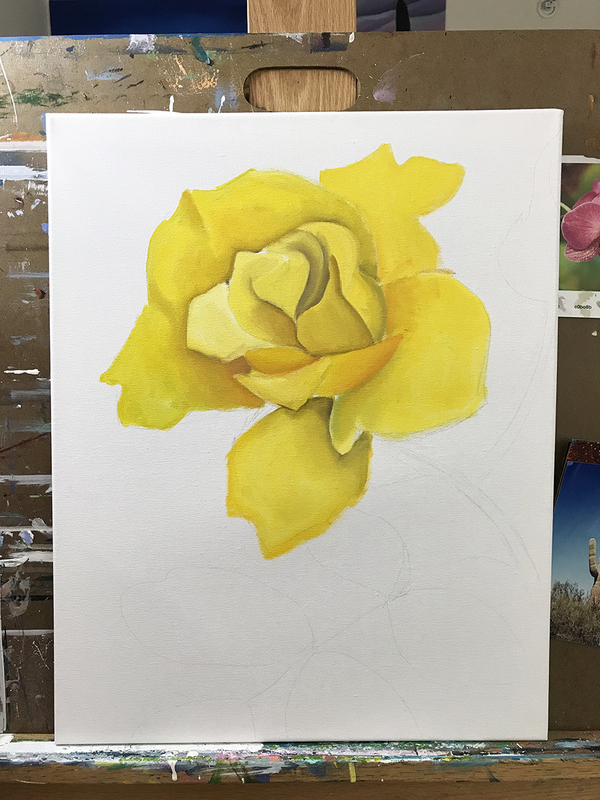 Yellow roses are one of her favorite flowers (carnations being her most favorite, just a little FYI there...) and I thought she would love this and it would look really nice in her space. I'm almost finished. I had to set it down and walk away from it for a while. I have the tendency to overwork a painting and I knew if I kept this on my easel, I would go back in and redo bits of it. Right now, I'm pretty happy with how it's turning out. I've been working on this painting since the end of January (in between succulent and cactus paintings and my new pilea painting, of course.) and I love how it's turned out. In retrospect, I really like how the rose was painted here. I dig the messiness of it. This painting has been such a pleasure to work on! I cannot wait to give to my mom. I hope she loves it! !